I want to let you know about our "challenge". We have a 24-inch burrito. It's filled with your choice of chicken, beef or carnitas, rice, beans, lettuce, tomato, sour cream, cheese. Then we wrap it all up and it's topped with chili con queso, chili con carne and a little melted cheese. Comes out to about 5 pounds. 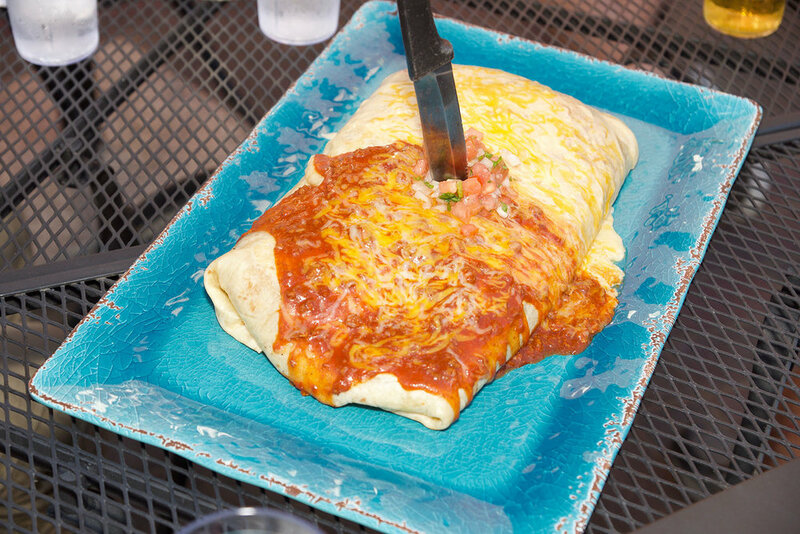 We bring it out to you and you have 30-minutes...if you finish that burrito in 30-minutes without any help you will get your picture on our challenge board and also a t-shirt that says, "I beat the challenge". One-of-a-kind here in Hastings. Come on down and give it a try!